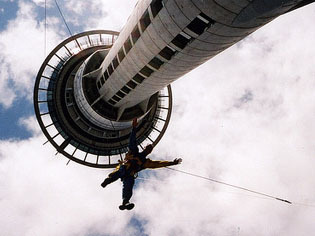 Among other things, New Zealand is known as a premier destination for extreme sports. With an abundance of mountains, canyons, rivers and wide, open spaces, New Zealand is a great place to push your limits and jump head first into adventure. For a good, healthy thrill, write one of these attractions into your New Zealand itinerary. You’re excused for never having heard of ‘zorbing’: it’s a uniquely Rotoruan invention. 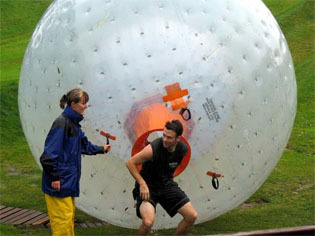 This particular activity involves hopping into a large, clear orb and trying to remain upright while you roll downhill. For some variety, you can choose among several different slopes to roll down as well as two different types of Zorb globes. Try a few different combinations! 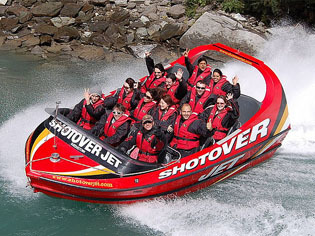 Another New Zealand invention, jet boats are super-fast vessels that can traverse water as shallow as a few inches. Hop on board one of these vessels in Queenstown, colloquially known as the adventure capital of the world, for a zoom through Shotover Canyon. The trip will take you speeding down a winding river, between the tall walls of the canyon. 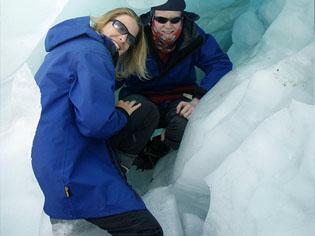 Franz Josef is one of the world’s most accessible glaciers, creeping almost to sea level. It’s made even more accessible by the many tour operators who will take you on guided hikes across the ice. While a glacier hike is definitely a once-in-a-lifetime experience unto itself, why not add a shot of adrenaline to the mix and sign up for an ice hiking trip? On one of these trips, you’ll be fitted with boots and crampons and sent scaling straight up a wall of ice. While New Zealand has plenty of opportunities for white water rafting, you should definitely try this unique twist on the sport. 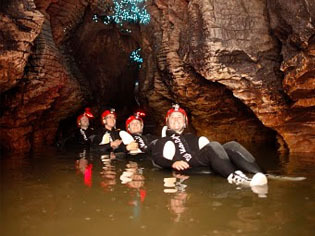 Black water rafting, which is technically tubing, involves floating down the underground rapids in the Waitomo Caves on the North Island. The dark caverns are lit up in parts by populations of glowworms, lending the whole experience on otherworldly feel. If you’ve ever been to Auckland then you’ve seen the Sky Tower: New Zealand’s tallest manmade structure is visible from almost every corner of the city. From the top of the Sky Tower, you can get a fantastic panoramic view of the city, the Tasman Sea and the Pacific Ocean. The view alone is worth a trip to the top, but since you’re going up there anyway why miss a great opportunity to get your adrenaline flowing? Try the Sky Jump, which will send you flying off the 192 metre high platform. You’ll be attached to a wire, so a smooth landing is assured. Author Bio: Whitney Cox is a New Zealand-based travel writer.